nelson mandela | How Do You Think It's Done? I expected to feel resigned on Madiba’s passing. After all, he was old, he was in poor health, so we had been given due warning, and what an amazing legacy! To be loved by the world and surrounded by family and friends, probably passing away in your sleep, who wouldn’t want that. And who of us should be sad about such a death? Yet sad I am. I may never have known him, yet he felt like my father too, as well as the father of South Africa. I am pretty sure that there is nothing for which I will ever be giving up 27 years of my life. Let alone have a belief for which I am prepared to die. That is before you throw in wanting all to be equal rather than turning the table on previous oppressors and turning them into the oppressed. Not even to just withhold revenge, but to extend the hand of forgiveness and peace. To call Nelson Mandela and his legacy ‘special’ seems positively lame. He was a legend and will now be an icon. Barak Obama is right. 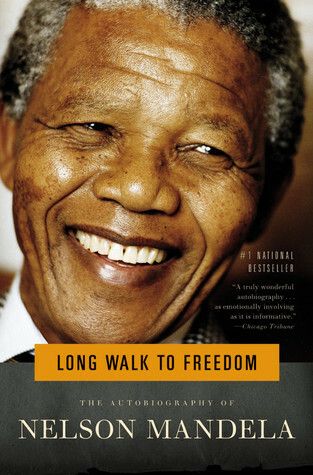 How can we apply Mandela’s teaching by example in our own lives? Do we have to have a cause to believe in as much as he did? Do we need to be the humble yet clear leader and statesman that he was? Or do we need to turn our back on revenge and hurt, and reach out for forgiveness and love when others hurt us? Or do we need to turn the circumstances in which we find ourselves into the best situation that we can, if need be, making prison walls our home and our jailers our friends? When our relationships and even marriages break down, do we need to find a way to remain in a positive relationship, for the sake of what we had our future peace and the children we bore? The questions could go on and on. From the global, to the spiritual to the one to one and the anecdotes of all who knew him saying how special He made Them feel, when they were the ones who felt honoured to be meeting him. Feel free to choose your own questions and your own answers but whatever you do, identify what it is you take from his life and keep applying it to your own. 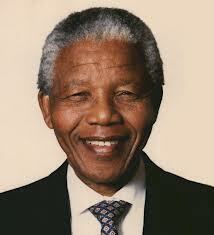 I never met you Madiba, although I so desperately wanted to. Thank you for all that you meant to me and thank you for all that you did for South Africa. I will tell my children and my children’s children of you and your legacy. And may your story continue always. Rest in peace. A Lack Of Clothes Maketh The Man. My first, full-time permanent job was as a customer service assistant for a bank and involved wearing a uniform. I remember it well, 5 blouses, 3 skirts and 1 blazer for which I would have to pay £100 pounds if I returned the uniform (read left the job) within a year. Hence I stuck that job out for a whole year! I almost wish that this job that I am doing came with a uniform too, as my finances are no better now, marriage, children and mortgage down the line, than they were all those years ago when starting out with student debt and the remnants of my last social security cheque! Everything needs replacing, updating or repairing and having been at home for as a stay at home Mum for 3 years I barely even have work wear! The replacing etc. I spoke of were my casual clothes! What I take comfort from though, besides the knowledge that with each paycheque I can start to purchase appropriate attire, is that Nelson Mandela went to work in the one, same suit he had for FIVE YEARS! Enough said really. I am not down to one outfit and I shall not need to wear it for 5 years before I am able to purchase another one. Like Mandela, sometimes rather than feeling beaten down by what you lack, you have to know you are strong for getting out there and doing what needs to be done, using whatever resources you have, no matter how few they may be.